KNOXVILLE, Tenn. -- Following a year in which Pilot Flying J opened eight new full-sized travel centers, the growing company is thinking big by targeting small. It has begun the rollout of Pilot Express, a new format that is smaller than its traditional locations, according to Brian Ferguson, vice president and chief merchant for Pilot Flying J. Pilot Flying J, Knoxville, Tenn., ranked No. 9 in a year-end update of CSP’s 2017 Top 202 list of the largest c-store chains in the United States. Expanding this new concept is only a part of the Pilot Flying J’s plans for 2018, which build on the company’s accomplishments in 2017, Ferguson told CSP Daily News. These also include new full-scale travel centers, an ongoing remodeling program, new partnerships and more. The company has opened Pilot Express stores in Steubenville, Ohio; Grand Prairie, Texas; Newark, N.J.; and Houston. A fifth is in the works in Jacksonville, Fla. Additional locations will open throughout 2018, beginning this summer, said Ferguson. The new Pilot Express concept “puts food front and center, with homestyle meals, fresh salads, made-to-order sandwiches, grab and go, premium beverages and coffees—those are really the hallmarks of the new concept. The whole store and the entire environment is built around food innovation and our PJ Fresh Marketplace concept,” he said. 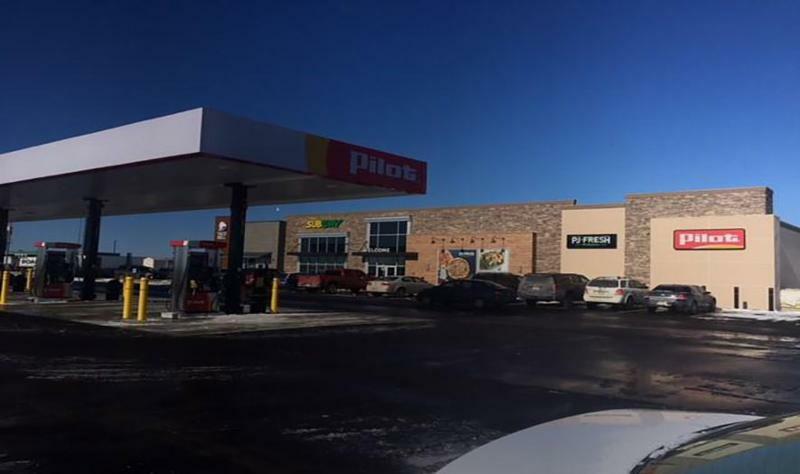 In 2017, Pilot Flying J opened eight new Pilot and Flying J travel centers in the United States, which Ferguson said was in line with expectations. The travel centers are in Bensenville, Ill.; Clovis, N.M.; Coco, Fla.; Kansas City, Mo. ; Lathrop, Calif.; Rhome, Texas; Rochester, Ind. ; and Tehachapi, Calif. So far in 2018, the company has opened one new travel center, in Lamar, Colo., for a total of 602 locations (including 39 convenience stores in Tennessee) in 44 states and six Canadian provinces. Pilot Flying J’s facility enhancement project is the major renovation of its travel centers, inside and out, “to make the guest experience everything you would experience at a brand-new store if we had just built it from the ground up,” said Ferguson. The company completed more than 50 renovations in 2017. It hopes to do a similar number in 2018 “and continue that program until we’ve touched the entire fleet” of stores, he said. 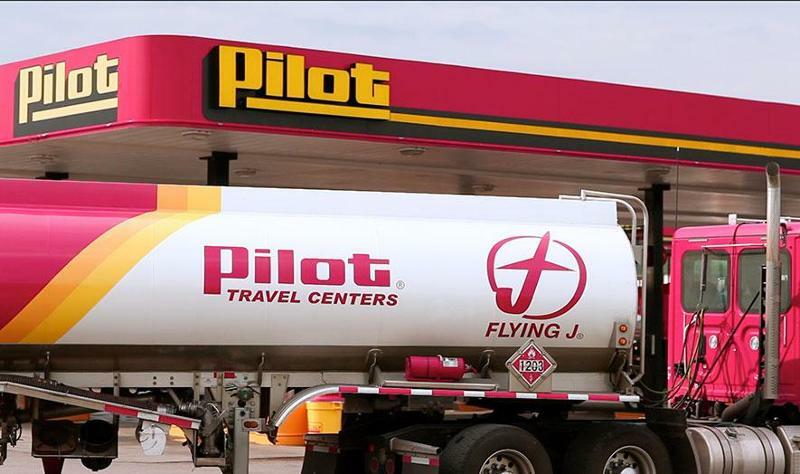 Earlier this month, Pilot Flying J re-opened its Pilot Travel Center in Remington, Ind., following the completion of a ground-up rebuild as part of the facility enhancement project. The newly renovated building features many enhanced amenities, including new Taco Bell and Subway restaurants; PJ Fresh, fast-casual food offerings including PJ Fresh Pizza, Pilot’s Best Gourmet Coffees, soups, salads, sandwiches and bakery items; new restrooms and seven new showers; a new driver’s lounge; upgraded amenities and layout; and modern interior finishes and exterior lighting. The company also plans to add a Truck Care Service Center to the site in 2018. 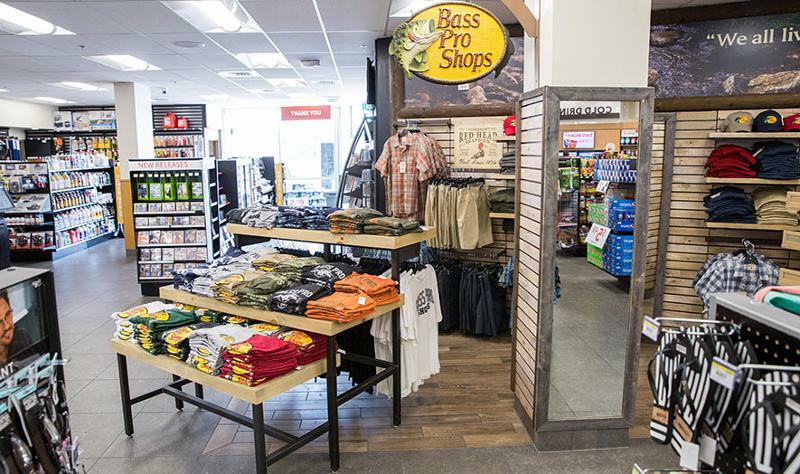 Through a partnership with outdoor retailer Bass Pro Shops, Pilot Flying J has opened two “store-in-store” Bass Pro Shops at travel centers in Lebanon, Tenn., and Gallup, N.M. 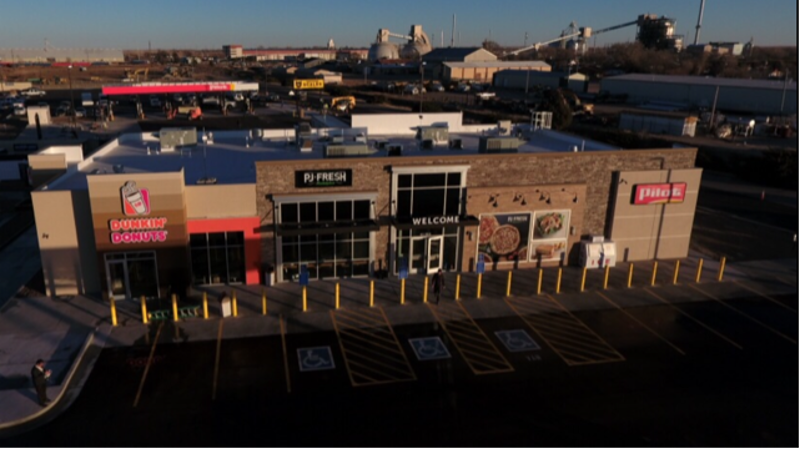 Pilot Flying J plans add two or three more Bass Pro Shop units this year across the network, Ferguson said, one in Texas, and it is looking at West Coast and Midwest locations. The company also plans partnerships with other retailers. “Travel centers are a nontraditional retail environment,” he said. “The success of the miniature environment really shows that our customers are seeking that experience, and they really appreciate the options and the assortment. My goal is to bring more, similar national brands into the fold and give our customers a really great variety of high-quality brands of merchandise to select from at great value. Pilot Flying J is also expanding the Bean-to-Cup coffee offering that it has been testing for the last few months, said Ferguson (pictured). 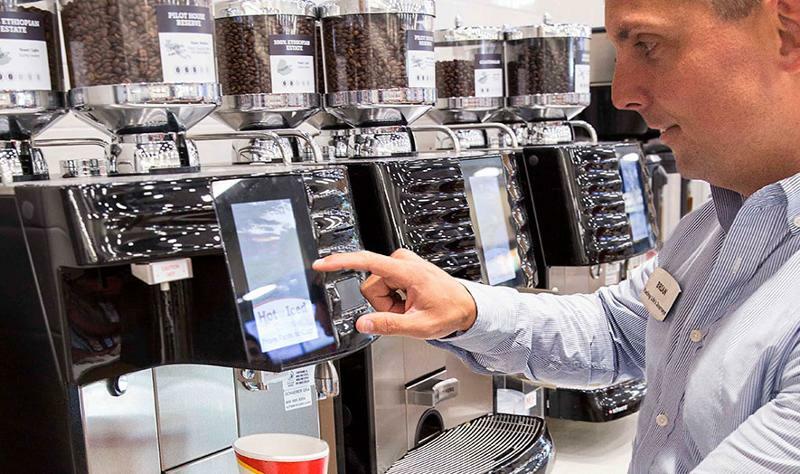 The concept allows customers to grind and brew their own coffee on demand and add condiments. 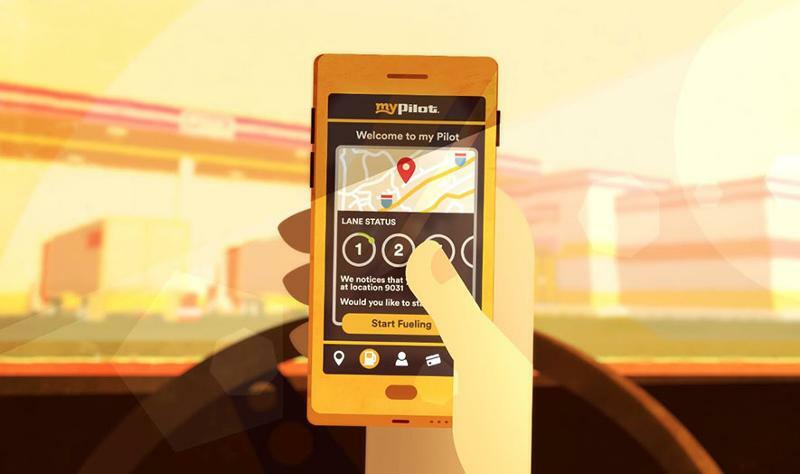 In 2018, Pilot Flying J will continue to invest in its myPilot app and loyalty program. It recently launched the My Offer section, where on a weekly basis, there are special deals such as buy-one-get-one-free or other limited-time offerings. “We see great adoption from both professional drivers and from four-wheel gas customers,” he said. 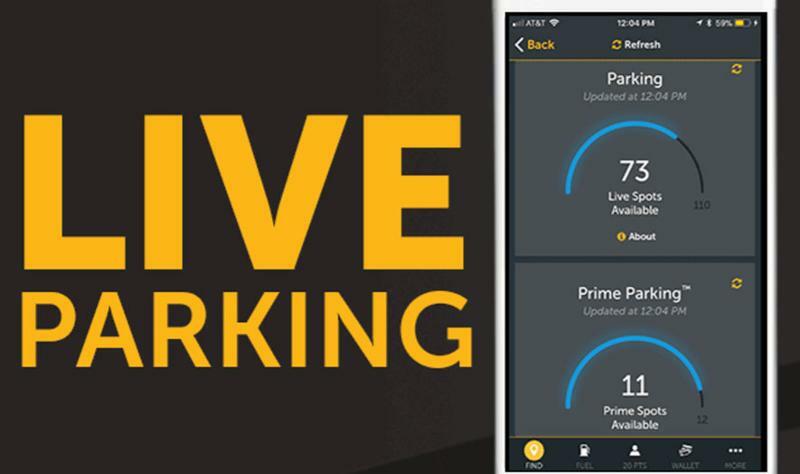 A priority for Pilot Flying J is providing parking for professional drivers.